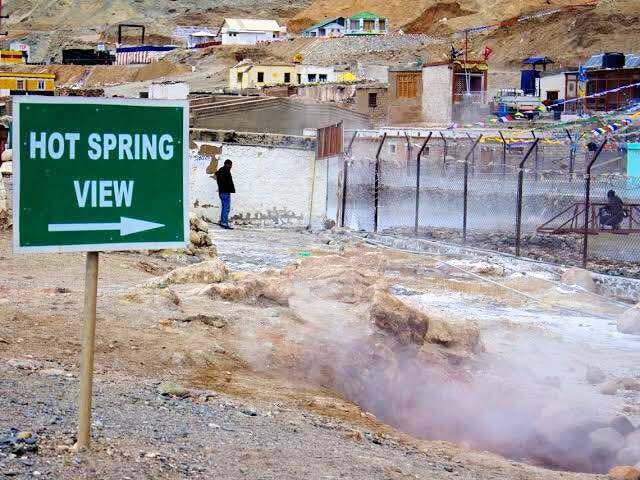 Chumathang Hot Springs Resort is located on the way from Leh to Tso Moriri. The stay is situated next to the Chumathang hot spring. The rooms are well equipped for a group of 2-3 people to stay and have heaters available in the winters. Each room has an attached bathroom which has running water in the summers and is filled with warm water by the people managing the resort in the winters. The best part about the chumathang hot spring resort is the bath which has water straight from the hot spring. The bath is equipped with a drainage system to drain excess water and a regulator to increase cold water level if the water gets too hot. Tip: Do not miss the hot spring bath!